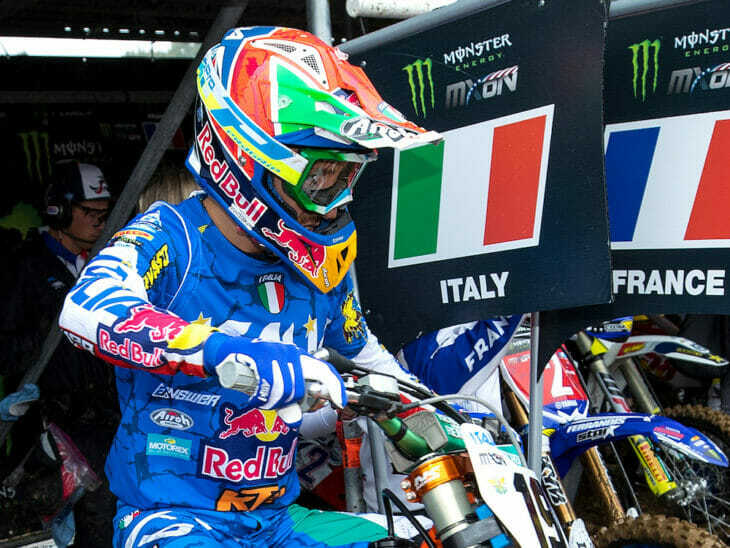 The silver-medal-winning team at the 2018 MX of Nations has been disqualified from the event, which took place, October 7, 2018, at RedBud, in Buchanan, Michigan. 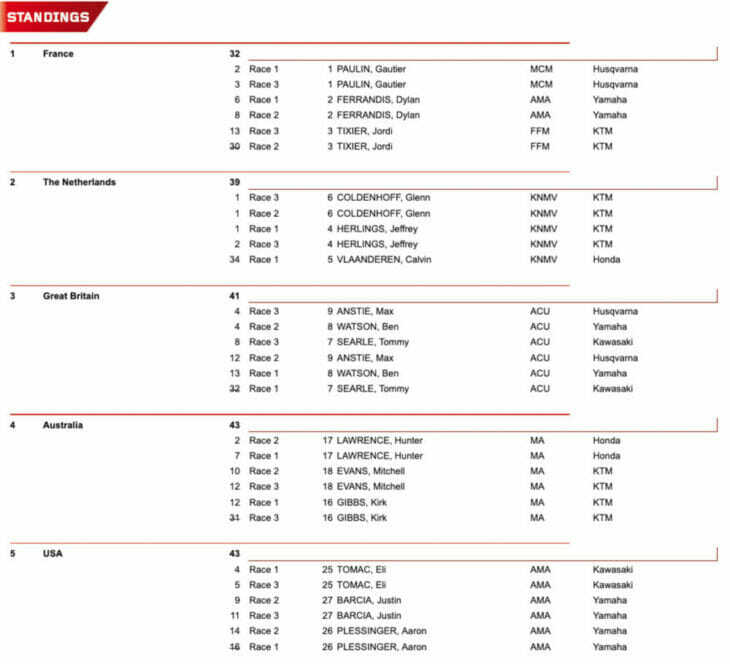 Team Italy was disqualified after fuel samples taken from one of its team riders’ motorcycle, Michele Cervellin, “attested non conformity with the FIM fuel specifications.” As a result, the entire team, which had finished second to Team France, has been disqualified. Eight motorcycles surrendered full samples at the event, including Justin Barcia, Eli Tomac and Aaron Plessinger’s motorcycles. All of them passed except for Cervellin’s. The updated results has every team moving up a position behind the winning French squad, which means Team Netherlands has now been awarded the silver medal and Great Britain the bronze. Team USA is now fourth and Australia fifth. Click here for complete updated 2018 Motocross of Nations Results.